10 years ago, on 27 October 2005, riots broke out in the French suburbs. It started here with the death of two boys, in Clichy sous Bois, 15 km from Paris, an economically deprived suburb. Ever since, these suburbs have been the subject of stigma in the press, and in some cases of fear from those residing in central Paris. This collection of photos, shot between 2013 and 2015 shows scenes from everyday life in a few Paris suburbs. Despite being the focus of media attention after the attacks of November 13, 2015 led to a shootout in one near suburb, and mosques where 'radical' Islam is preached being shut down in others, they are - for the most part - normal neighborhoods suffering from a lack of attention from the state, and society at large. 10 years ago, on 27 October 2005, riots broke out in the French suburbs. It started here with the death of two boys, in Clichy sous Bois, 15 km from Paris, an economically deprived suburb. Housing complex Chene Pointu is one of the most dilapidated apartment complexes in France, only here the poor can rent an appartment without questions asked. 22 January 2015, Clichy sous Bois, France. 10 years ago, on 27 October 2005 riots broke out in the French suburbs. It started here with the death of two boys, in Clichy sous Bois, 15 km from Paris, an economically deprived suburb. Housing complex Chene Pointu is one of the most dilapidated apartment complexes in France, only here the poor can rent an appartment without questions asked. 22 January 2015, Clichy sous Bois, France. 10 years ago, on 27 October 2005 riots broke out in the French suburbs. 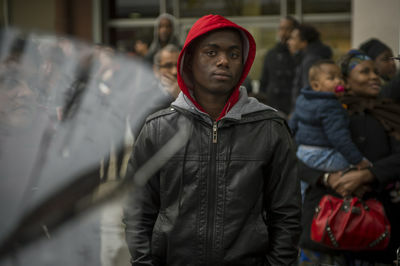 It started here with the death of two boys, in Clichy sous Bois, 15 km from Paris, an economically deprived suburb. 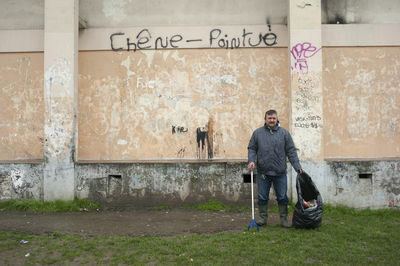 IsmaÃ«l Emine is the housekeeper in the Chene Pointu Complex since 10 years. Every morning he collects rubbish that tenants throw out through the windows. 11 March 2013, Clichy-sous-Bois, France. 10 years ago, on 27 October 2005, riots broke out in the French suburbs. It started here with the death of two boys, in Clichy sous Bois, 15 km from Paris, an economically deprived suburb. 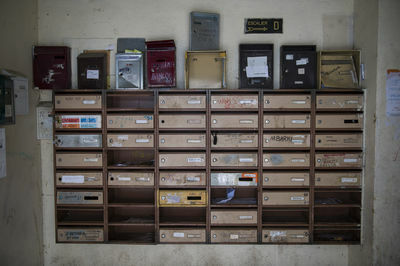 Letter boxes in the housing complex Chene Pointu. 22 January 2015, Clichy-sous-Bois, France. 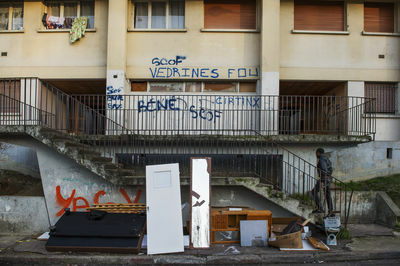 10 years ago, on 27 October 2005 riots broke out in the French suburbs. It started here with the death of two boys, in Clichy sous Bois, 15 km from Paris, an economically deprived suburb. 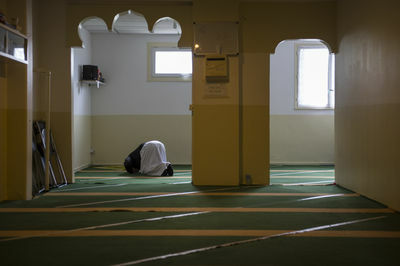 A makeshift mosque in the appartment complex Chene Pointu. 21 January 2015, Clichy sous Bois, France. 10 years ago, on 27 October 2005 riots broke out in the French suburbs. 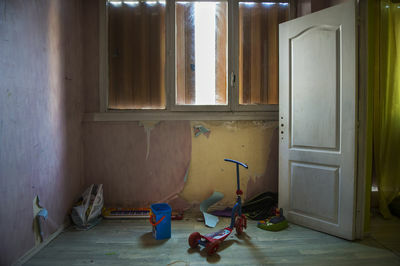 It started here with the death of two boys, in Clichy sous Bois, 15 km from Paris, an economically deprived suburb. CafÃ© Aram is the only cafe in the appartment complex Chene Pointu. 20 January 2015, Clichy sous Bois, France. 10 years ago, on 27 October 2005 riots broke out in the French suburbs. It started here with the death of two boys, in Clichy sous Bois, 15 km from Paris, an economically deprived suburb. 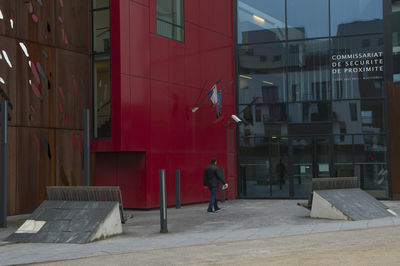 The building of a new police station was one of the measures taken after the riots. 22 January 2015, Clichy sous Bois, France. 10 years ago, on 27 October 2005 riots broke out in the French suburbs. It started here with the death of two boys, in Clichy-sous-Bois, 15 km from Paris, an economically deprived suburb. 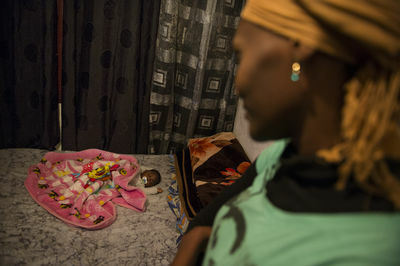 Keita Konate 23 years and her baby Asa 8 month. The family rents one room of 9 m2 for 450 euros a month. 22 January 2015, Clichy sous Bois, France. 10 years ago, on 27 October 2005 riots broke out in the French suburbs. It started here with the death of two boys, in Clichy sous Bois, 15 km from Paris, an economically deprived suburb. Mother and child during the midday school break. 22 January 2015, Clichy sous Bois, France. 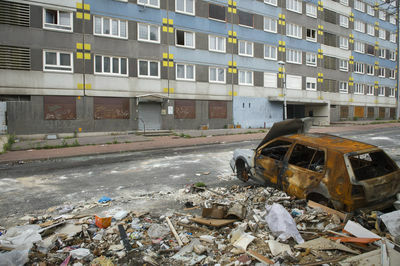 10 years ago, on 27 October 2005 riots broke out in the French suburbs. It started here with the death of two boys, in Clichy sous Bois, 15 km from Paris, an economically deprived suburb. Housing complex ChÃªne Pointu. 7 March 2015, Clichy sous Bois, France. 10 years ago, on 27 October 2005 riots broke out in the French suburbs. It started here with the death of two boys, in Clichy sous Bois, 15 km from Paris, an economically deprived suburb. Dansoko Baraka comes from Mali, he has 6 children (from 18 to 2 years). He is handicapped after he cut a nerve in his left arm trying to change the windows in this apartment. He came to France in 1991, working as a security guard. He pays 600 euro rent, his wife works part time. 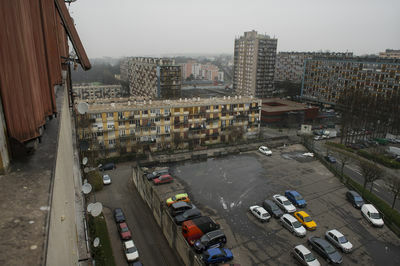 Housing complex Chene Pointu. 7 March 2015, Clichy sous Bois, France. 10 years ago, on 27 October 2005 riots broke out in the French suburbs. It started here with the death of two boys, in Clichy sous Bois, 15 km from Paris, an economically deprived suburb. Housing complex Chene Pointu. 15 March 2015, Clichy sous Bois, France. 10 years ago, on 27 October 2005, riots broke out in the French suburbs. It started here with the death of two boys, in Clichy sous Bois, 15 km from Paris, an economically deprived suburb. 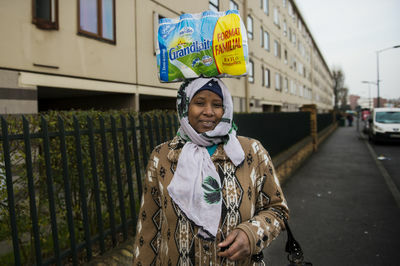 Resident originally from Mali walks home after shopping, 22 January 2015, Clichy sous Bois, France. 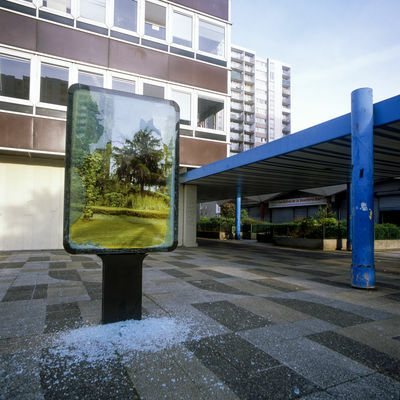 10 years ago, on 27 October 2005, riots broke out in the French suburbs. It started here with the death of two boys, in Clichy sous Bois, 15 km from Paris, an economically deprived suburb. 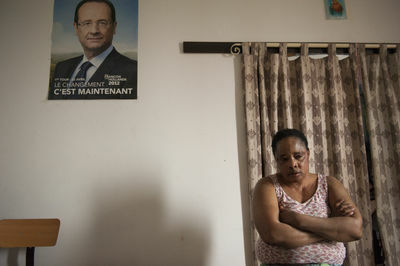 FilomÃ¨ne, 50 years, had high expectations in President Francois Hollande, but nothing changed. Occasionally she works as a housekeeper. The elevators have been down for 5 years, maintenance is not provided, the monthly charges are high. 8 March 2013, Clichy sous Bois, France. 10 years ago, on 27 October 2005, riots broke out in the French suburbs. 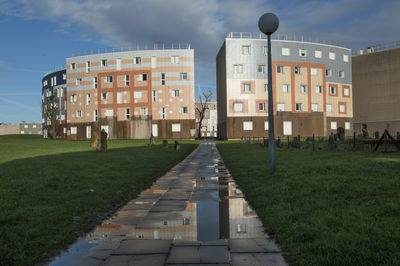 In this suburb, La Courneuve, 5 km from Paris, lower buildings have since 2005 - when the suburbs were on fire - replaced much of the dilapidated high-rise flats. 20 October 2015, La Courneuve, France. 10 years ago, on 27 October 2005, riots broke out in the French suburbs. 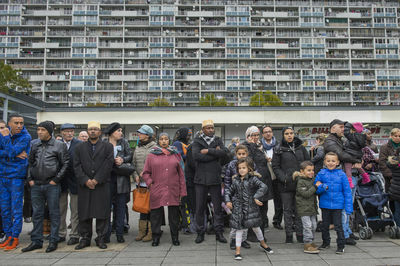 Residents from La Courneuve, a suburb at 5 km from Paris, wait for the visit of President Francois Hollande. In the background, the 15-story high apartment complex Mail de Fontenay, part of the so called "4000" complex, flats that have been built here in 1964. 20 October 2015, La Courneuve, France. 10 years ago, on 27 October 2005, riots broke out in the French suburbs. 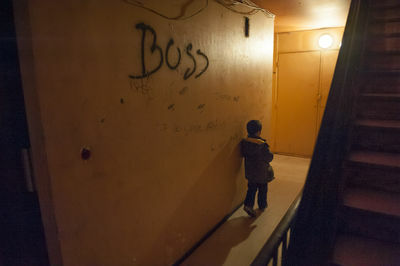 A boy in La Courneuve watches the crowd during a visit of President Francois Hollande, who was greeted with boos. La Courneuve is 5 km from Paris. 20 October 2015, La Courneuve, France. 10 years ago, on 27 October 2005, riots broke out in the French suburbs. The flat the "Petit Debussy" is now empty and is one of the last to be demolished. This suburb at 5 km from Paris, was called the "4000" after the four thousand flats that have been built here in 1964. 19 October 2015, La Courneuve, France. 10 years ago, on 27 October 2005, riots broke out in the French suburbs. 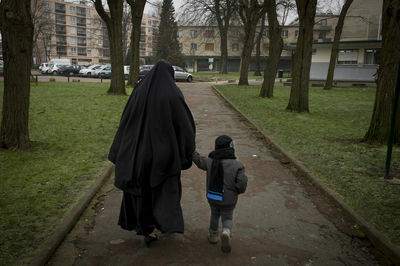 Young people in the suburb La Courneuve at 5 km from Paris. They live in the 15 story appartment Mail de Fontenay, part of the "4000" complex, namd after the four thousand flats that have been built here in 1964. 19 October 2015, La Courneuve, France. 10 years ago, on 27 October 2005, riots broke out in the French suburbs. 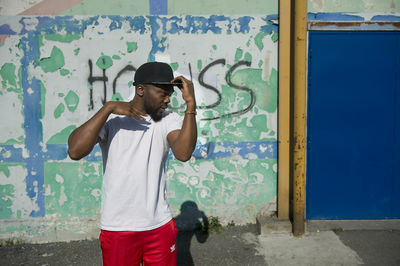 NESS, a Hip Hop dancer, here seen in the suburb Sevran. 19 April 2015, Sevran France. 10 years ago, on 27 October 2005, riots broke out in the French suburbs. 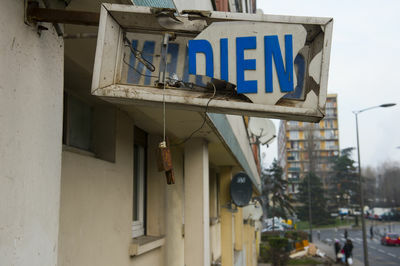 The neigborhood "La Grand Borne" in Grigny is one of the most infamous around Paris. January 14, 2015, Grigny, France. 10 years ago, on 27 October 2005, riots broke out in the French suburbs. Girl in the suburb Longjumeau. 18 July 2015, Longjumeau, France. 10 years ago, on 27 October 2005, riots broke out in the French suburbs. 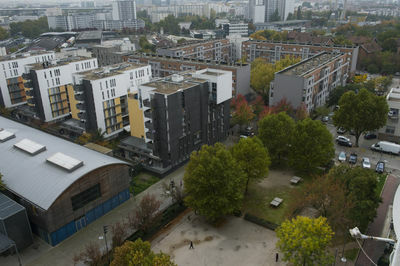 CitÃ© Karl Marx in the suburb Bobigny. Mai 16, 2006, Bobigny, France.